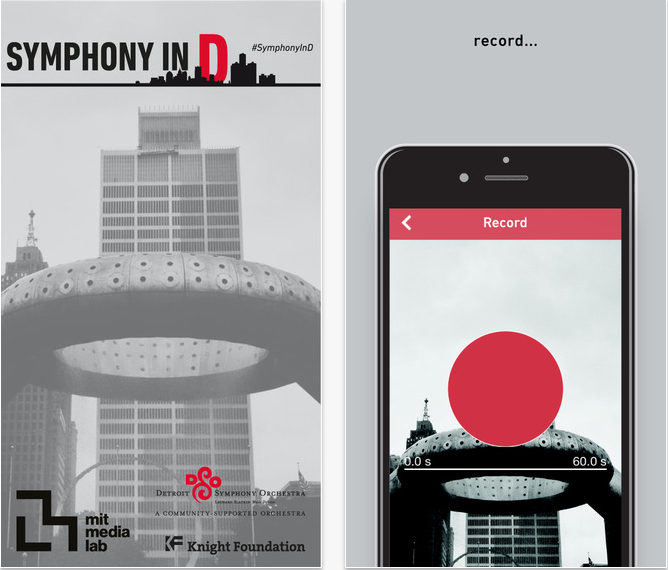 The Detroit Symphony Orchestra (DSO), in partnership with Tod Machover at the Massachusetts Institute of Technology (MIT) Media Lab and the John S. and James L. Knight Foundation, released two free apps that allow citizens of Detroit and metropolitan locals to submit sounds and personalized mixes to the Symphony in D project. The DSO is the first American orchestra to work with Machover on a collaborative symphony. He has completed similar projects in Toronto, Canada; Edinburgh, Scotland; and Perth, Australia.